I grant you the power to walk on water. 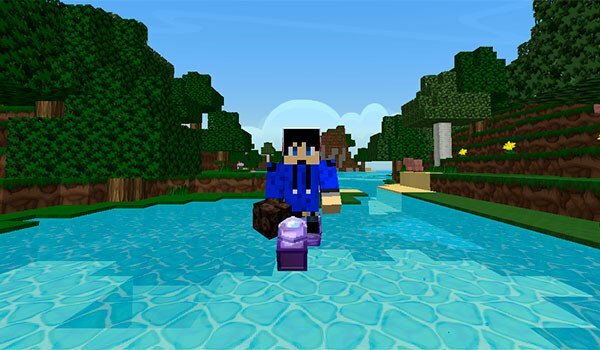 Water Walking 1.7.10 is a mod that only adds one enchantment to the game, but for many people can be really useful, especially if they do not like Minecraft boats, or prefer to save time when traveling to the seas and oceans of Minecraft. The mod adds a new enchantment to the boots of our armor. The enchantment basically allows us to walk on water as long as our character bring boots as part of the enchanted armor. How to install Water Walking Mod for Minecraft 1.7.10? Walk on Water is already possible in Minecraft!